Meiro Stamm is best known as a composer with the ability to fuse classical, contemporary and world elements into striking and memorable music. His film, television and stage credits run the gamut from action and mystery films to classical drama to children's programming and animation. 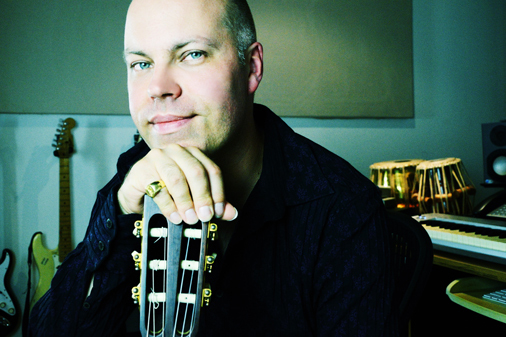 He has studied and performed with the Indian tabla drum, an Indonesian gamelan orchestra, and as a classical and electric guitarist. His debut album In a Beginning… was released to critical acclaim and international airplay. Described as "serious high-art" by Geoff Chapman of the Toronto Star, In a Beginning... was recorded with members of the Prague Philharmonic Orchestra and Choir as well as featuring internationally renowned percussionists Bob Becker of Nexus and Alan Hetherington. It was the music on In a Beginning... that caught the ear of several film and television producers and launched Meiro on his career as a composer for the screen. Notable projects include the feature film Detention (starring Dolph Lundgren), the Theatre New Brunswick production of Vinci (directed by R.H. Thomson), the award-winning documentary feature Slaughter Nick for President, and the animated series Franny’s Feet (2005 Gemini Award nomination with co-composer Amin Bhatia). Meiro’s score for the film Bread & Kisses was nominated for a Remi Award at the 2011 Houston WorldFest. Stamm served on the Board of Directors of the Guild of Canadian Film Composers from 2002 to 2009 and as its Vice-President from 2004 to 2009.